I’m going to go out on a limb here and assume that the people who installed this hand dryer didn’t MEAN for it to become a tush dryer. When you stand in front of the sink to wash your hands wearing a purse, it activates the motion sensor and blasts your backside with hot air. It’s kind of like the seat warmer in your car, except weirder because it’s very unexpected. 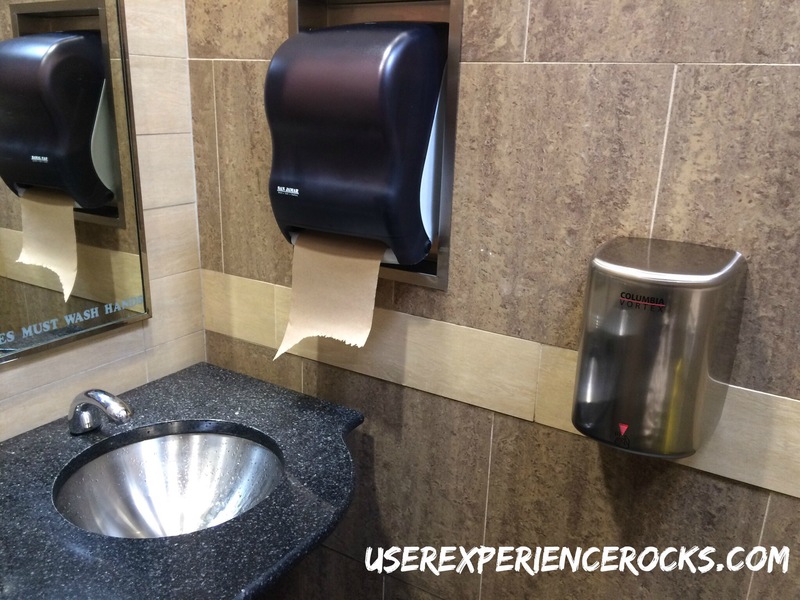 Sorry Sheetz, I’ve got to label this a UX Fail.